The last few years have been very exciting for the Star Wars fandom, as Disney acquired Lucasfilm and produced a variety of new and exciting projects. In addition to standalone movies and new small screen adventures, the main installments continue to be the bread and butter for the generations of fans. 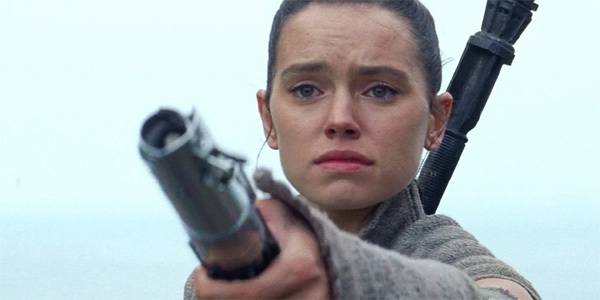 The sequel trilogy and Skywalker Saga are set to come to an end with Episode IX, with J.J. Abrams once again returning to the director’s seat to complete the story. Well, that’s pretty cut and dry. While moviegoers are eager to lean Episode IX‘s title in order to glean some hint of the upcoming blockbuster’s plot, it looks like only the big guy knows in advance what it’s being called. So it’s back to waiting for the fans. Dominic Monaghan’s comments about Episode IX‘s title comes from his Instagram story. When taking fan questions, obviously the subject of his mysterious role in the galaxy far, far away came up. But he can’t give the movie’s title away, as not even Monaghan and the rest of the cast and crew know what it is yet. Now that’s what I call tight security. We’re living in a world rife with spoilers. And considering major properties like Marvel movies and the Star Wars franchise are arguably the most popular movies right now, extreme measures must be taken in order to keep secrets, and have the opportunity to genuinely surprise moviegoers. While the fans have been almost rabid before the release of The Force Awakens and The Last Jedi, J.J. Abrams has even more pressure, considering Episode IX is decades in the making. In addition to wrapping up the trilogy he began, J.J. Abrams will also have to wrap up the entire franchise’s narrative. Abrams must end the story started by George Lucas back with A New Hope, and bring a conclusion to nine movies and years of work and dedicated fans. And considering how much backlash Rian Johnson’s The Last Jedi got, that same base of moviegoers will likely be weary going into Episode IX. Luckily for us, Episode IX will hit theaters hit year, so it’s only a matter of time before information begins trickling out. Usually the film’s title will come before footage and images arrive, so we’ll have to keep our fingers crossed until then. Star Wars Episode IX is currently set to arrive in theaters on December 20th. In the meantime, check out our 2019 release list to plan your next trip to the movies.